The Group Company adopts a caravan for 2019! It’s round 2 for the CLIA Cycle to the Ball! Are you in the London ‘SE’ postcode in July or August? Shortlisted in Better Society Awards with TUI UK & Ireland! Double Your Donation at no extra cost to you! Family Holiday Association shortlisted for a Charity Times Award! 2015 – Another record year! We’ve got solutions to your resolutions! It’s our 40th Anniversary today! 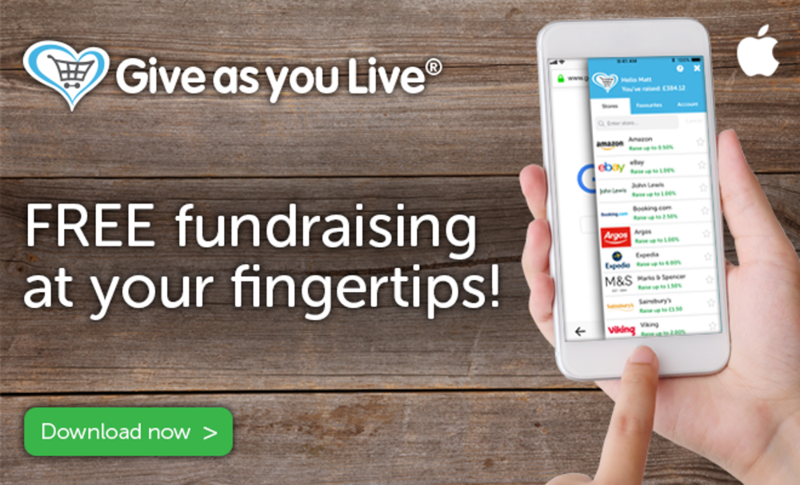 Shopping and fundraising website Give as you Live has launched its first smartphone app, on iOS. Shoppers can sign up to Give as you Live through the app and choose a charity to support. They can then shop through more than 4,300 Give as you Live-linked retailers including ASOS, John Lewis, and Booking.com. Each time they make a purchase, the retailers pay Give as you Live a commission as a thank-you for referring shoppers to them. Give as you Live then donates this commission to the shopper’s chosen charity, with no cost to the shopper or the charity. The app’s features include a menu bar for easy navigation to shoppers’ favourite stores, the ability to use the in-built browser for searching the internet, Give as you Live account access to track funds raised, and ‘thank you’ notifications each time shoppers spend so they know how much their purchase has raised for their charity. An Android version is in the pipeline. Give as you Live is a free and easy way to raise money for the Family Holiday Association, just by shopping online. It costs nothing, with a % of your normal shopping going directly to helping struggling families get a vital break away from home.